The Ultimate Party Experience That Includes EVERYTHING! Happy Camper counselors will deliver and set up six themed camper kits at your place. Every camper will have their own teepee, matching floor pillow, mini lantern, twinkly lights and balloons to decorate their special spot. Of course, no campsite is complete without a (faux) campfire and pillow logs. This package also comes with a movie screen and projector for the big night. Our team creates a cinema experience replete with fresh popcorn served in classic paper buckets. The smell of hot popcorn, movie on a big screen, stars and twinkly light setting the mood— what sweet memories you’ll be making. We even supply Happy Camper printable invitations when you schedule your celebration. As with all of our packages, if you need to add on for extra campers, we are more than happy to deliver as many camper kits as you need. And when it’s all done, our team will be back the next day to take down camp at the end of your party, leaving you smiling at the ease of it all. For up to 6 campers. Extra Campers $15.00 each. Reserve your party today for a $149.50 deposit. We will contact you after you place your deposit to make sure everything is correct before billing the remainder of the balance. 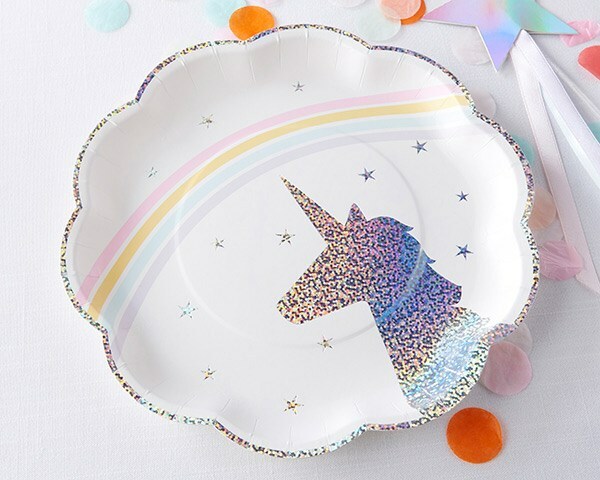 Uniquelly Designed for Each Happy Camper party! Let everyone know that you are having an incredible sleepover with our custom porch signs. 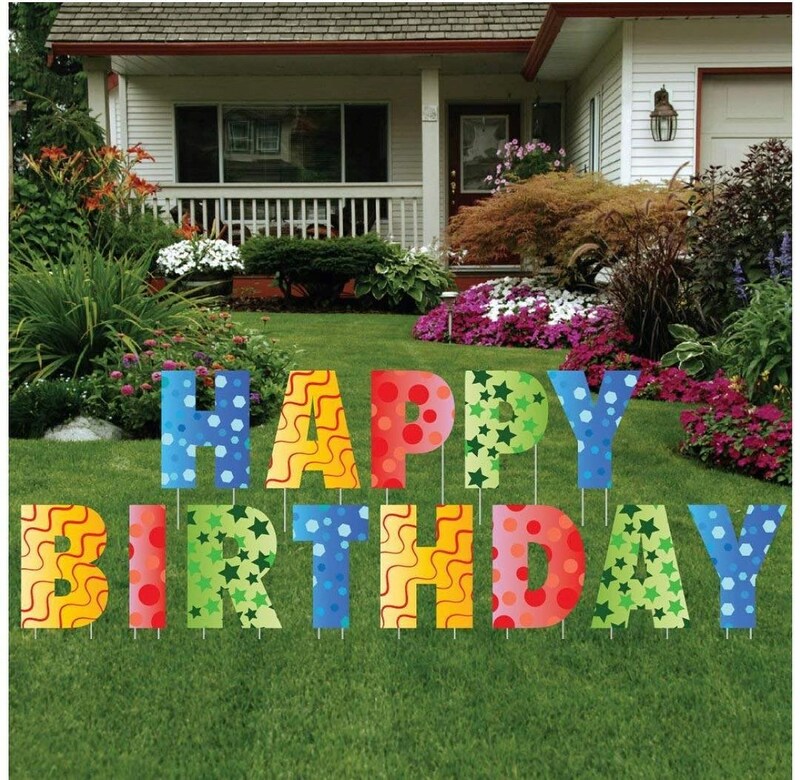 Share in your loved ones special day Birthday yard display comes with letters that spell out Happy Birthday and guest of honors name with colorful letters measuring 20" tall. 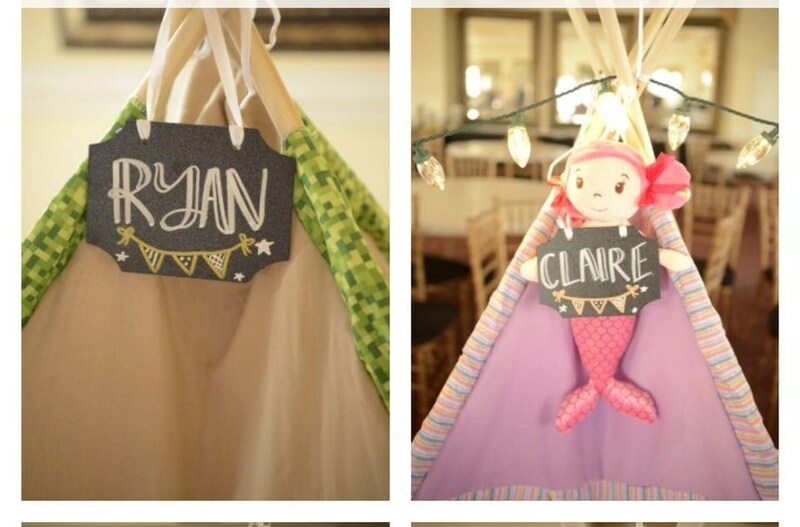 Let us make the day even more special with a customized name plaque for your guest to place above their personal teepee. These make great party favors. Send a guest list to us and let us do the rest. Mermaid doll not included with purchase of Name Plaque. Pre-Filled! We do it all for you! 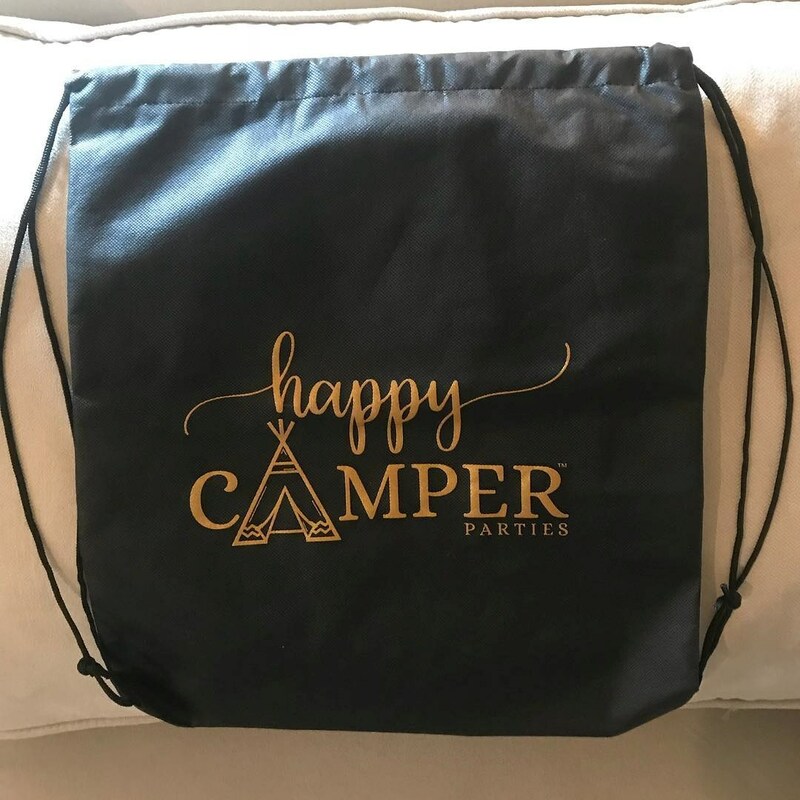 We can make your guest feel very special by receiving a Happy Camper backpack! Pre filled for you, all you have to do is hand it to your guests! Is your area not listed? Image is for a reference only, actual teepee may vary slightly. Click image to view larger. Phone Please use your mobile number if you opt into text updates. Preferred Setup Setup time is approximately 1.5 hours for 6 teepees. Preferred Pickup Takedown time is approximately 45 minutes for 6 teepees. Anything we should know about? Get updates on our new additions, package specials, and event ideas! You have been added to our newsletter mailing list!